The Memorial Day weekend has started off right. An unplanned outing among co-workers and new friends is an ideal social event for me after a busy work week. Myself and three co-workers headed to the west midtown area of Atlanta to have good conversation, drinks and of course food. This impromptu outing lead us to 5 Season Brewery Westside. The evening started with drinks and appetizers. We took samples from each other plates as we tried so hard not to discuss work. 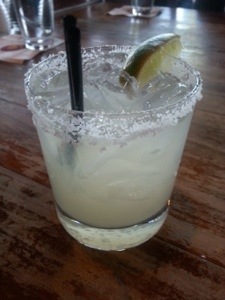 My drink was the “Not-a-Rita” with the salted rim. Even though I am a southern lady, the idea of shrimp and grits is still new to me. 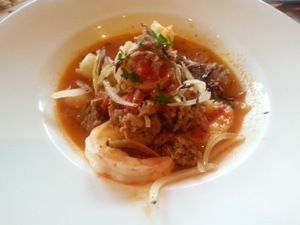 This small plate menu item was seasoned with organic chorizo sausage, tomatoes, sweet onions and fresh herbs. The small plate portion was perfect as well as the price since this unplanned outing was set to a responsible budget. This evening was awesome with both the food and social atmosphere. 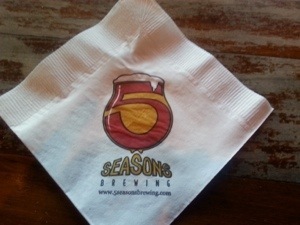 5 Seasons Brewery Westside is a great location for gatherings from small to large. The seating area is spacious, the staff is great and the food is affordable and tasty. I believe my co-workers really enjoy themselves and I look forward to our next WTF outing.